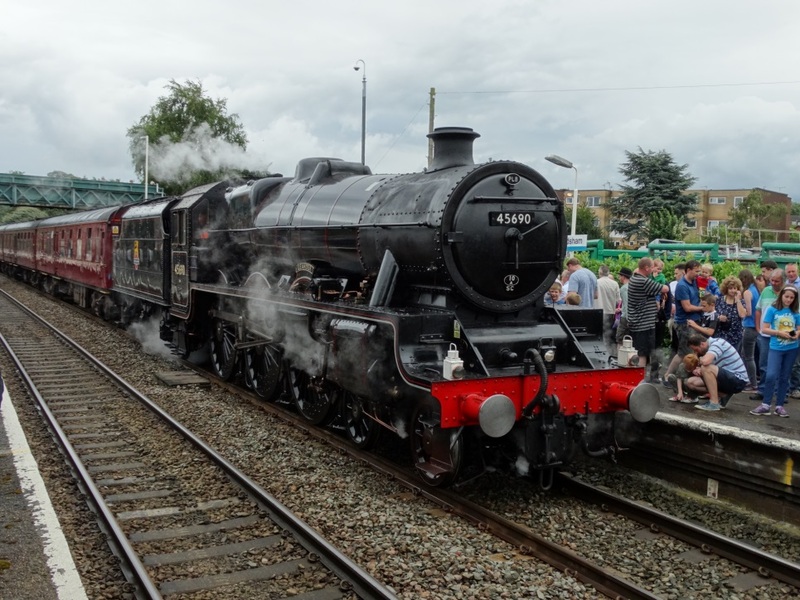 The Jubilee Class Locomotive 45690 "Leander" could be seen at Frodsham on Sunday 24th July when it stopped to take water from 11.01 to 11.21. The train originated at Liverpool Lime Street and travelled over the historic Liverpool and Manchester Railway via Huyton to Warrington before proceeding on to Llandudno and Holyhead. The train returned from there at 17.45 and "Leander" worked the train to Chester the return to Liverpool again via Warrington was with a Class 37 diesel. 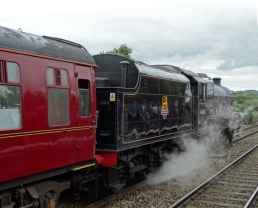 The locomotive was booked to work through Frodsham light engine at 22.30. 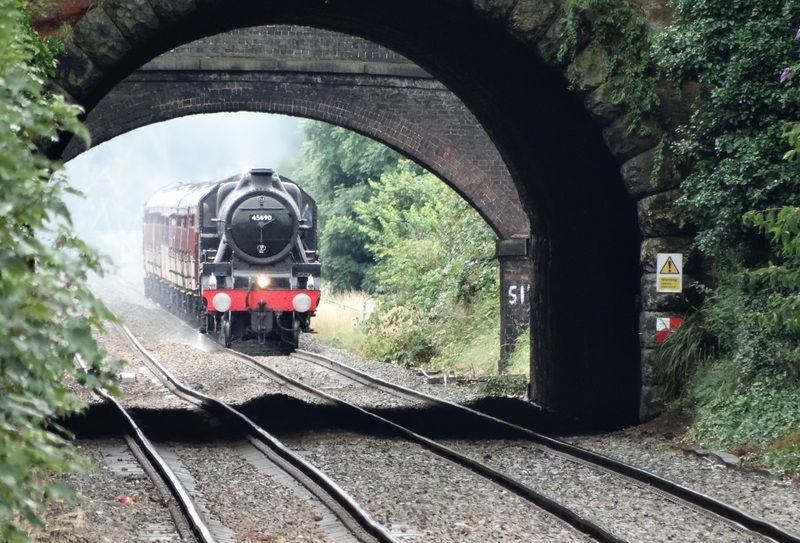 There is steam at Frodsham again on 26th July when 46115 is booked to call at 07.36 and depart at 08.10, the train is booked to Blaenau Ffestiniog which will be a first!!!!! The return journey sees the train calling again and departs at 19.26.